Insularum Maltae et Gozae quae sunt Equium S. Ioannis hirosolimitani Ordinis Medit. Sedes Principalis Delineatio Geographica . . . 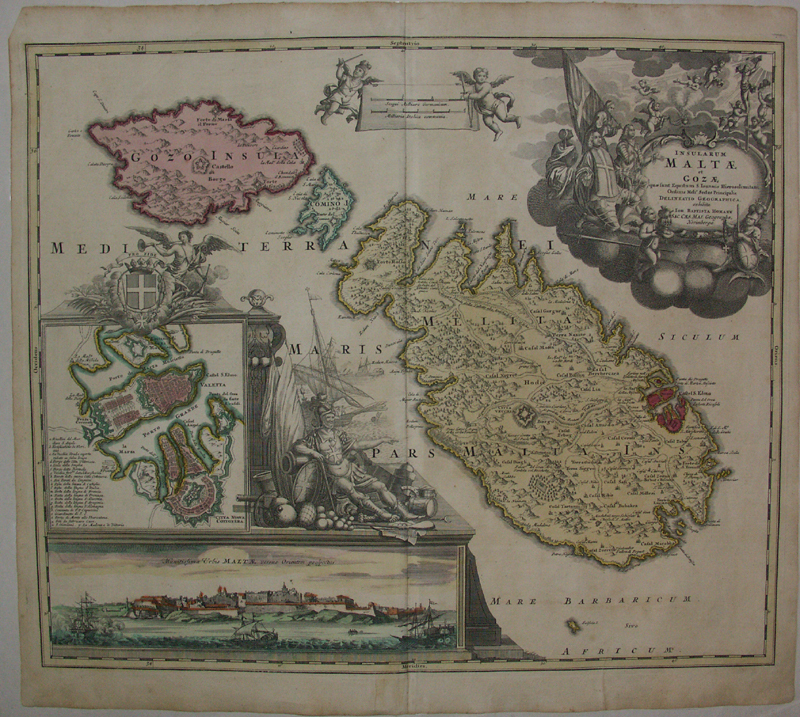 Attractive map of the islands of Malta and Goza, with a large plan of the capital city of Valletta and a view of the City. 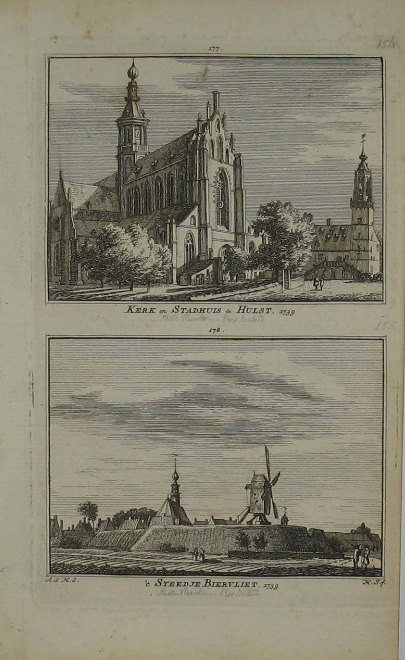 The map includes two allegorical scenes anda fine detailed plan of Valletta, locating about 20 landmarks. Verso blank.